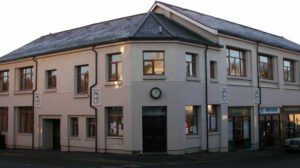 Situated at the corner of Buchannan Street and Dunmore Street, The McLintock Hall – more correctly, the John McLintock Hall, is decribed as the ‘social heart of the community. Given to the village by John McLintock, an investor who made his wealth dealing in stocks and shares, rather than from the family confectionery business. He shared his wealth with the community of Balfron by establishing the Bowling Green, by setting up a grant making charitable trust and by facilitating the building of a new public hall. Further details can be found in the Mclintock Hall website. The Hall hosts a variety of regular activities, from dancing to embroidery, from Brownies to yoga. Details of these are available in the Hall website.